Posted on : Thu, 27-12-2012 Adamya Chaitany Utsava 2012 will be held from Dec.30 to Jan.2 at National College Ground,Basavanagudi. Posted on : Tue, 27-11-2012 Dalai Lama in an event held at Christ College Bangalore. Posted on : Sat, 26-01-2013 The Governor, H R Bharadwaj and CM Jagadish Shettar were present to celebrate India's 64th Republic Day on Saturday in Bangalore. 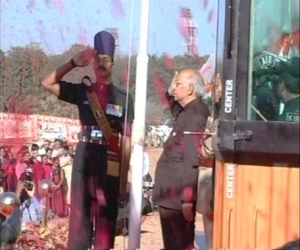 Nearly 5000 people were present at Manekshaw Parade Ground. 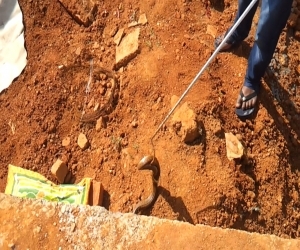 Posted on : Tue, 19-02-2013 ಇಂದಿನ ಯುವಜನತೆ ಸುಭಾಷ್ ಚಂದ್ರ ಬೋಸ್ ಅವರ ತತ್ವಾದರ್ಶಗಳನ್ನು ಮಾದರಿಯಾಗಿಟ್ಟುಕೊಂಡು ಮುನ್ನಡೆಯಬೇಕು ಎಂದು ದೇಶದ ಅಪ್ರತಿಮ ಸ್ವಾತಂತ್ರ್ಯ ಹೋರಾಟಗಾರ ಸುಭಾಷ್ ಚಂದ್ರ ಬೋಸ್ ಪುತ್ರಿ ಅನಿತಾ ಬೋಸ್ ತಿಳಿಸಿದ್ದಾರೆ. 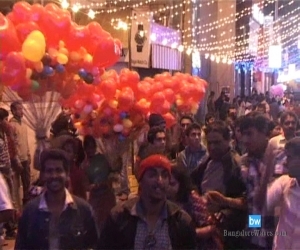 Republic Day Flower Show A Success! Posted on : Sat, 19-01-2013 The Republic Day Flower Show in Lalbagh Botanical Gardens was organized by the Mysore Horticultural Society and The Department of Horticulture. 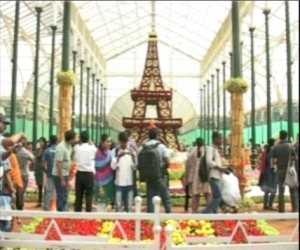 The 35-foot high floral replica of the Eiffel Tower was the main attraction of the show. Posted on : Thu, 17-01-2013 ಅಮ್ಮ ಪ್ರತಿಷ್ಠಾನ ಸಂಸ್ಥೆ ವತಿಯಿಂದ ಗಣರಾಜ್ಯೋತ್ಸವದ ಅಂಗವಾಗಿ ಜ.20ರಂದು ನಡೆಯುವ ವಿಶ್ವದ ಅತಿದೊಡ್ದ ಧ್ವಜ ಅನಾವರಣ ’ಫ್ಲ್ಯಾಗ್ ಥಾನ್-3’ ಕಾರ್ಯಕ್ರಮದ ಕುರಿತು ಪತ್ರಿಕಾಗೋಷ್ಠಿ. 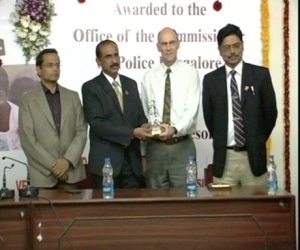 Posted on : Thu, 17-01-2013 Bangalore Police Commissioner Jyothi Prakash Mirji accepted the Special Advisor on Human Trafickking Steve Chalke Award on behalf of the Bangalore Police Department on Thursday. 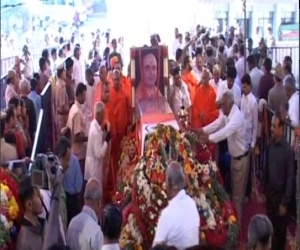 Posted on : Mon, 14-01-2013 Political and religious leader were at the BGS hospital on Monday to pay their final respects to Adichunchanagiri seer Balagandharanatha Swamiji who passed away after a prolonged illness. Posted on : Mon, 10-12-2012 ಸಿಐಟಿಯು ನ 14 ನೇ ದಕ್ಷಿಣ ಕನ್ನಡ ಜಿಲ್ಲಾ ಸಮ್ಮೇಳನ ಡಿ.9 ಮತ್ತು 10 ರಂದು ಬೆಳ್ತಂಗಡಿಯಲ್ಲಿ ನಡೆಯಿತು. 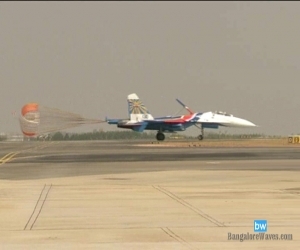 Posted on : Sat, 09-02-2013 Russian Air Force's aerobatic team finally arrived to Aero India 2013 after a three day wait. 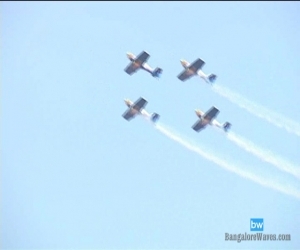 On Saturday, more than one lakh people watched the air show. 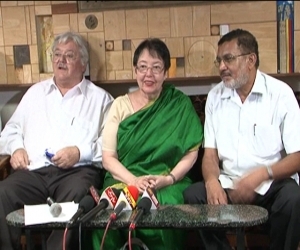 Posted on : Fri, 08-03-2013 Many events organized on the occasion of World Women's Day on Friday, March 8 at Bangalore. 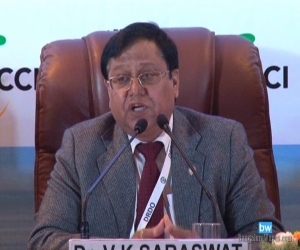 Posted on : Fri, 08-02-2013 India is developing Agni-VI missile that would carry multiple warheads said DRDO Chief Saraswat at Bangalore on Friday. 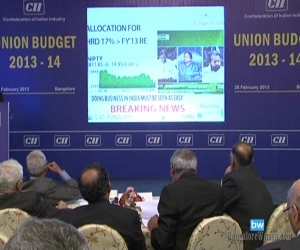 He was speaking to media at Aero India 2013. 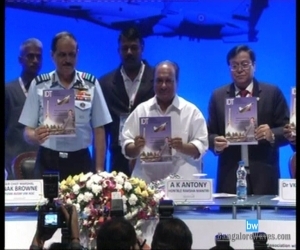 Posted on : Wed, 06-02-2013 Aero India 2013 was inaugurated by defence minister A.K.Antony at Bangalore on Wednesday,Feb.6. 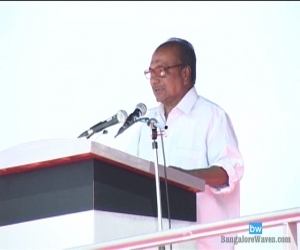 Posted on : Wed, 06-02-2013 After inaugurating the 9th edition of Aero India-2013 defence minister A.K.Antony announced that the 10th Aero India will be held at Bangalore from 18-22 February 2015. 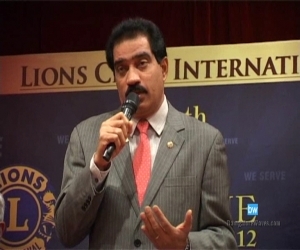 Posted on : Wed, 05-12-2012 Lions Club is organizing 40th South Asia and Middle East Lions Conference from 6th Dec. to 9th Dec. at Bangalore. 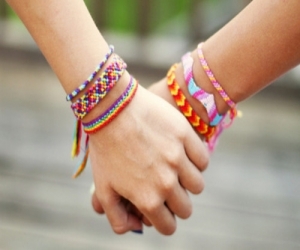 Posted on : Sun, 05-08-2012 Friendship day is celebrated on the first Sunday of August every year. It is a day for celebrating friendship. Posted on : Tue, 05-02-2013 ಏರೋ ಇಂಡಿಯಾ 2013 ರ ಅಂಗವಾಗಿ ಫೆ.5 ರಂದು ವಿಮಾನ ತಯಾರಿಕೆ ಮತ್ತು ವಿನ್ಯಾಸಗಳ ಸವಾಲುಗಳು ಕಾರ್ಯಾಗಾರ ನಡೆಯಿತು. 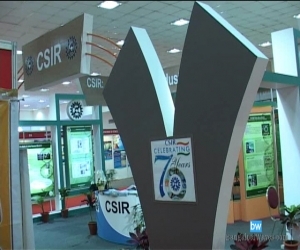 Posted on : Mon, 04-02-2013 Chief Minister Jagadish Shettar inaugurated Bangalore India Bio 2013, a three day event on Monday,Feb.4. 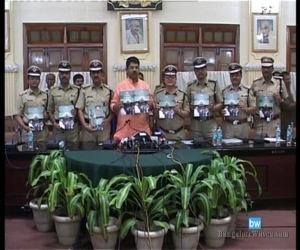 Posted on : Thu, 03-01-2013 Deputy chief minister R.Ashoka inaugurated 24/7 helpline for women on Jan.3,2013. Posted on : Tue, 01-01-2013 Hoping everybody welcomed the new year in style, here's wishing you all a happy and prosperous year ahead.